Come meet and talk with Col. Doug Applegate, Democratic candidate for California's 49th Congressional District. Get a chance to hear about his priorities and his vision for the future of America. RSVP to elena@applegateforcongress.com for more details! "On Monday, November 6th at 6:30 PM at Elijah's Restaurant, Delicatessen & Catering, the San Diego Progressive Democratic Club is thrilled to present a Flip Congress forum with candidates for California Congressional Districts CA-49 and CA-50! This is our chance to meet the candidates, hear their pitches, and ask them the questions that really matter to us as progressive Democrats deciding who we'd like to support. With our chapter clubs slated to recommend endorsements at their next meeting on November 13th, you won't want to miss this chance to get your questions in!" Please RSVP for free here! The Democrats of MiraCosta College will be holding a forum and endorsement meeting for the CA-49 Congressional race on Monday, November 6th at 3:00 PM in the Student Center. All Democratic candidates are invited to speak and answer questions from studetnts before a vote is held. Event is open to the public and will have free food. The San Diego County Young Democrats (SDCYD) will be hosting a forum and endorsement for the CA-49 race on November 28th, 2017. You must have been a member 58 days prior to the vote, but the meeting is available to the public. 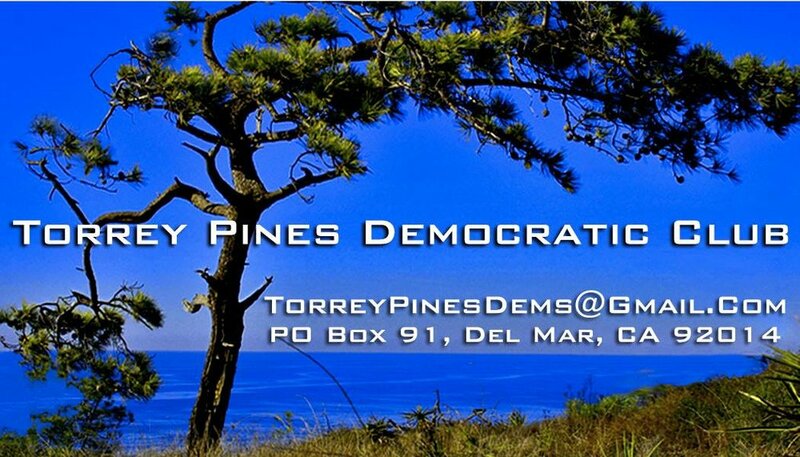 Colonel Doug Applegate will be participating in a candidate forum hosted by the Torrey Pines Democratic Club. Hear what he has to say about his his top policy priorities, why he decided to run against Darrell Issa last year, how he will bridge the gap this year, and how he will be a true representative for the residents of the 49th! This event will be hosted by the Torrey Pines Democratic Club. More information available here! Colonel Doug Applegate will be speaking as a candidate at the SDCDP Convention in Escondido. He is scheduled to speak during the second General Session, 3:00 PM - 4:30 PM. You can purchase a ticket online here! Please join us this evening for the the 49th's Candidate Forum at Temple Solel! Come hear Colonel Doug Applegate's stances on the most prevalent issues that residents of the 49th and all Americans are facing today. Come meet Colonel Doug Applegate in an informal, open dialogue in a relaxed setting, hosted by the Democratic Club of Carlsbad and Oceanside (DEMCCO)! Colonel Doug Applegate will be participating in a candidate forum hosted by Orange County for Climate Action. Hear what he has to say about his climate policy priorities, why he decided to run against Darrell Issa last year, and how he will be a true representative for the residents of the 49th! This event will be hosted by Orange County for Climate Action and will feature candidates from multiple Congressional races in Orange County. Please join Colonel Doug Applegate for a cup of coffee at local coffee shop, Lush Lounge in Vista! We look forward to seeing you, and make sure to invite a friend! Please join us for this neighborhood event with Corrina Contreras—candidate for Vista City Council District 1, and Colonel Doug Applegate, candidate for 49th Congress! Colonel Doug Applegate will be participating in a candidate forum hosted by the Rancho Santa Fe Democratic Club. Hear what he has to say about his policy priorities, why he decided to run against Darrell Issa last year, and how he will be a true representative for the residents of the 49th! Please RSVP with the Rancho Santa Fe Democratic Club at this link. Come meet, hear, and question three impressive Democratic challengers to Darrell Issa! Join in the expanded Q&A. The 49th District race promises to be one of the most-watched of 2018, drawing massive amounts of national press attention and campaign money. A swing district, right in our backyards! Get involved early. WHEN: Thursday September 14 at 6:30 PM. Program begins at 7:00 PM. RSVP: CLICK HERE TO RSVP and PAY. To RSVP by phone call VICKE at (858) 735-6404 or MARIA at (858) 759-2620. Please join us for a reception with Colonel Doug Applegate, candidate for Congress against Darrell Issa in the 49th! Colonel Doug Applegate will be participating in a candidate forum/voter education event hosted by the Indivisible Patriots at the Unitarian Universalist Fellowship of San Dieguito. Hear what he has to say about his policy priorities, why he decided to run against Darrell Issa last year, and how he will be a true representative for the residents of the 49th! The Fellowship has a large, well-marked parking lot on-site. Should it be full, there is a preschool down the street that allows those attending to use their parking lot on weekends. Political discussion is polarized. We need a new way to communicate with politicians and talk about the issues that affect us. Colonel Applegate's campaign is offering "Community, Conversation,Yoga," and a chance to get to know a candidate in a unique way that celebrates Encinitas culture and allows for an authentic connection with a future representative. Yoga session conducted by professional yoga instructor Michael Glen. Bring yourself, a towel or yoga mat. Meet and Greet Colonel Doug Applegate and learn how you can help elect a true representative for District 49 to Congress! Colonel Doug Applegate will be participating in a CA-49 candidate forum hosted by the Democratic Club of Vista, and moderated by the League of Women Voters. Come hear Doug's progressive vision, and how he plans to defeat Darrell Issa in 2018! Join Familias for Doug in a neighborhood canvassing and team building event Saturday August 5th from 9:30am-12:30pm. Talk to voters in Vista about Doug's candidacy, meet other Team Applegate members, lunch afterwards. Team Applegate is holding a series of organizing trainings this summer. In these trainings, we will review the types of direct voter contact techniques we will need in order to engage your neighbors in a meaningful way about what’s at stake this next election. It's through this important work that we'll be able to learn even more about which issues the voters of the 49th district care about most and defeat Issa next fall. Join Team Applegate for a canvass in Vista! We're already out knocking on doors in anticipation of the 2018 elections. We need to hear from our neighbors about the issues that matter most to them, and the best way to do that is to knock on doors! Please join us for a little walking, a little knocking, and a lot of talking with voters! Walk with Colonel Doug Applegate in the 2017 Pride Parade! Walk with Colonel Doug Applegate and the San Diego Democrats for Equality in the 2017 Pride Parade in support of the LGBTQ Community! The parade theme is "Allied in Action: United for Justice". The parade will begin at 11:00 AM sharp, but please arrive at the staging area no later than 10:30 AM. We strongly recommend carpooling or taking public transit. This is a free community event. Please RSVP to let us know you'll be marching with us! Walk with Colonel Doug Applegate and the rest of our team in the Rancho Santa Fe Independence Day Parade! The parade will form at 12:15 PM, after which we will be directed to an assigned space for our contingent. Please arrive early so that you have time to find parking and meet our contingent! This is a free, family-friendly event. We ask that you do not bring any campaign signs, as the host association is enforcing a no campaigning and limited signage rule this year. We will have a banner designating our contingent. We encourage you to wear red, white, and blue! Please RSVP so that we know you will be attending! Team Applegate is holding a series of organizing trainings in June. In these trainings, we will review the types of direct voter contact techniques we will need in order to engage your neighbors in a meaningful way about what’s at stake this next election. It's through this important work that we'll be able to learn even more about which issues the voters of the 49th district care about most and defeat Issa next fall. Click this link to attend this session.